This is a good size roach for baby herps and other animals that can manage ¼ to ⅜-inch crickets, but that may not be ready for mealworms or similarly-sized feeders. 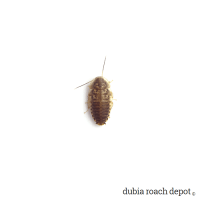 ¼-inch Dubia are a common starter size roach for many of the most popular baby insectivores. As soon as an animal can easily manage ¼-inch crickets, it’s ready to try ¼-inch Dubia. Though these could be a bit large for some of the smaller hatchling chameleons, geckos, and similarly sized animals that are currently eating pinhead or ⅛-inch crickets, the time needed to grow into them is usually measured in just days or maybe a few weeks. All Dubia roaches come loaded with protein, but this is especially true for young nymphs in their early growth stages. They spend their time gorging on nutritious foods to fuel their rapid growth. Because fast growth requires flexibility, their exoskeletons are thin, fragile, and most importantly – easier to digest. This is good news for the animals that eat them. These are typically young insectivores with tender digestive systems. 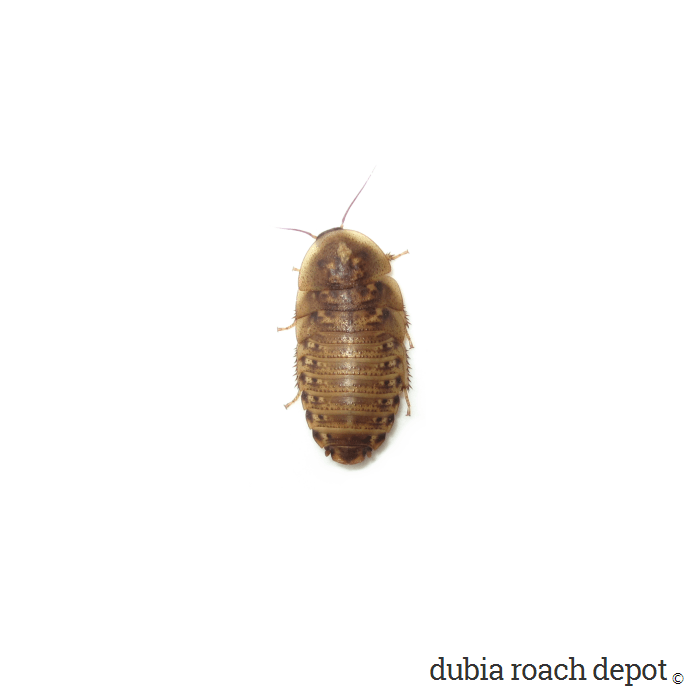 It also means that smaller Dubia roaches have more protein per ounce than larger ones. This is, again, perfect for the young, growing animals that eat them. Dubia roaches are superior feeders for a variety of reasons. They are the most gut-loadable feeder, they contain more vitamins & minerals, they are easier to keep and maintain, etc. However, there is one group of animals for which small Dubia feeders really shine. This is young, growing insectivores. The Dubia’s abundant protein helps satisfy these animals’ unique nutritional needs. And as mentioned, smaller roaches are easier to digest. This again benefits young animals with developing digestive systems that can’t yet handle larger insects with thicker exoskeletons. The bottom line? 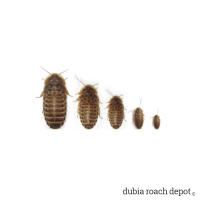 Dubia roaches have more nutrition per ounce than other feeders. And the younger they are, the larger the gap. ¼-inch Dubia are larger than Minis despite their similar body length. This is because they are more “filled out”, and because even just a little growth represents a relatively big change in their diminutive. ¼-inch Dubia are thicker and fatter. 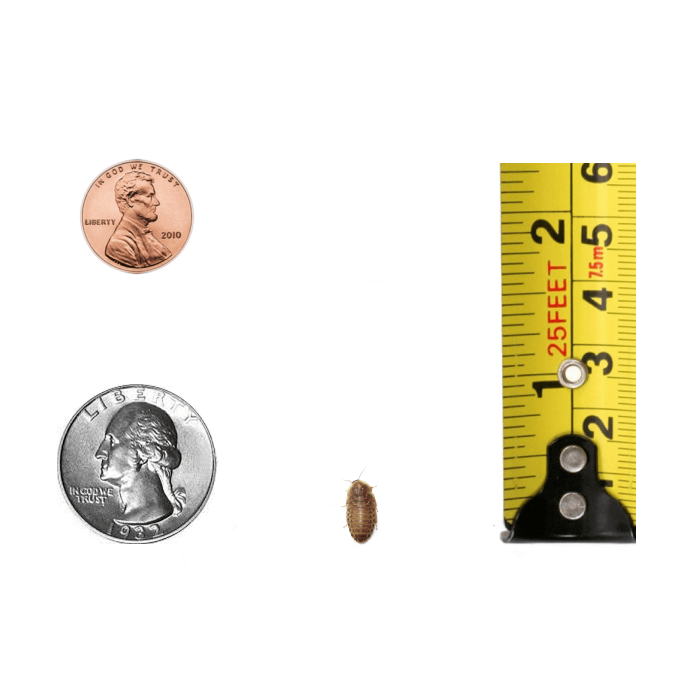 Minis are typically flat and they weigh about half as much as ¼-inch Dubia. My babies (2 beardies) love these roaches! Fantastic customer service, Great prices, fast shipping, Dubia’s all arriving healthy and alive is just a few reasons I would recommend this site to anyone!..In researching places to order from I was highly impressed with the way the Dubia’s are fed and cared for, which is so important to me. I want my Bearded Dragon to eat healthy..I have ordered multiple times, and plan to always order from here..I am so happy and so is Spyro my picky and spoiled dragon!